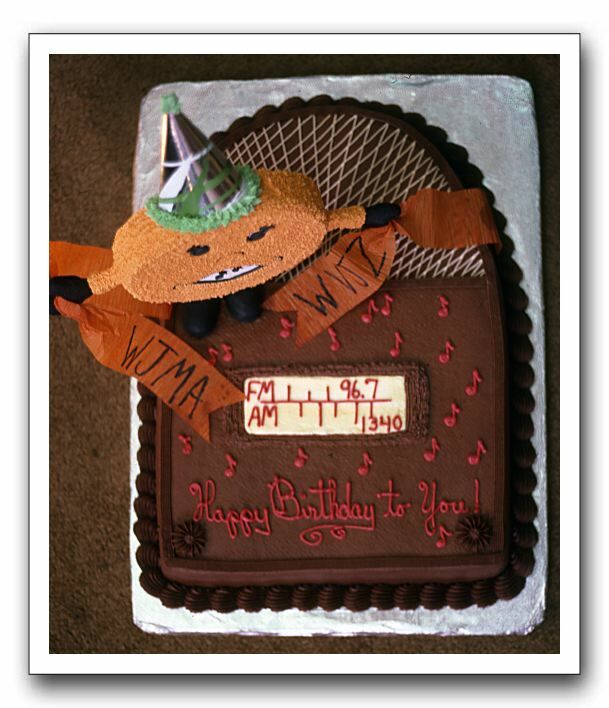 A listener made this cake to celebrate a WJMA anniversary in September. The picture is dated May 1985. That would have been WJMA's 36th anniversary. Is chocolate the appropriate gift for a 36th?